FrogTape® approached me to do a new, creative project with their product and thank goodness! This finally started the playroom transformation I’ve been putting off for over a year. Without FrogTape® the kid’s playroom would still be boring and cream colored. We moved into our home a year and a half ago and I’ve toyed with the playroom space here and there. By that, I mean pushing the furniture around and changing out rugs and artwork, but I’ve never spent much time (or effort) making it beautiful. 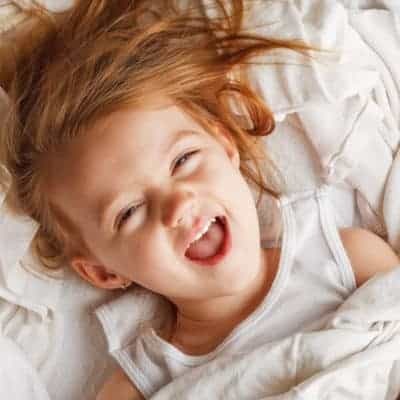 To be honest, I was burnt out after the massive amount of home renovations we tackled when we moved in and haven’t fallen in love with any ideas for the playroom. And then I was hit with a dilemma. My twins, who are six and heading back to school in a month will be needing a sizable homework space, I’ve been working at the kitchen table and desperately need a desk space too, and lastly, my sweet two year old should have a play space with her own age-appropriate toys and room to develop her imagination. See my problem? These are very distinct needs for different age groups and overall styles and I’ve been struggling to roll into one cohesive and stylish space. 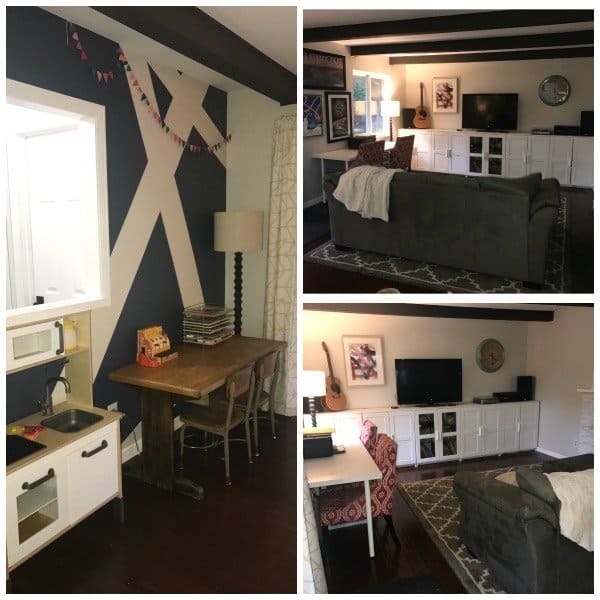 It wasn’t until FrogTape® reached out to ask about upcoming projects that had me scouring through the 2017 FrogTape® Design Trends. The modern morphing trend caught my eye. See, modern morphing is about using paint as an slight of eye trick to making one room have distinct spaces that flow together. I settled on a fun, modern and funky design for my daughter, Taylor’s play area. 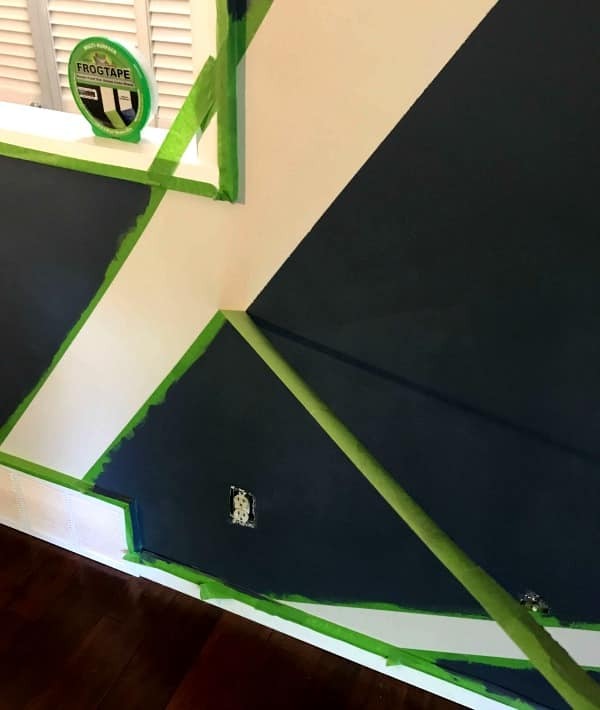 I am frankly, not the best painter, but with the help of FrogTape®, my go-to for every paint project, the results make me look like a pro. FrogTape® has this wonderful Paintblock® Technology, a super-absorbent polymer that reacts with the water in latex paint and instantly gels to form a micro-barrier that seals the edges of the tape for average painters like myself. This prevents paint bleed – and when you’re making a bunch of lines like I had mapped out, I couldn’t chance it. The result? Crisp, clean, straight lines without the need for touch-ups – hallelujah! 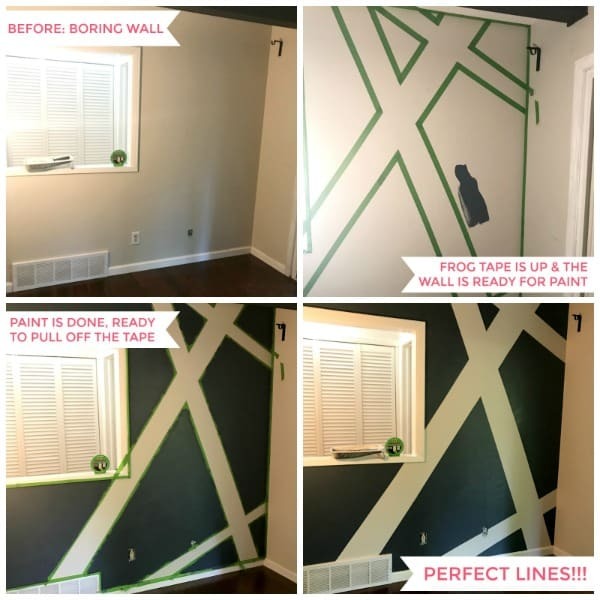 Below you can see the process of the project; from boring and bland, adding FrogTape® to set the lines, painting the area and the results and perfect lines after I pulled the tape off. Pro Paint Tip: When you set your FrogTape®, be sure to burnish the edges of the tape to make sure it’s properly bonded to the surface so when you pull up the tape, the only thing you have are sharp, clean lines. Here is what the play space and play room looks like now. Don’t you love the wall? The kid’s desk is by the window with the two red chairs and the white cabinets along the wall are great for storing toys, puzzles, and books out of sight. What do you think about the painted wall and multipurpose playroom? Be sure to check out FrogTape® on Instagram, Twitter, Pinterest and Facebook for inspiration for your next project.